Last night the San Diego Press Club held its 40th Annual Excellence in Journalism Awards--commonly known as the JAwards. I received two awards. My food blog, San Diego Foodstuff, earned first place in the general category of Websites: Blog-Topic Based for my post, "French Sorrel and Mint Granita." 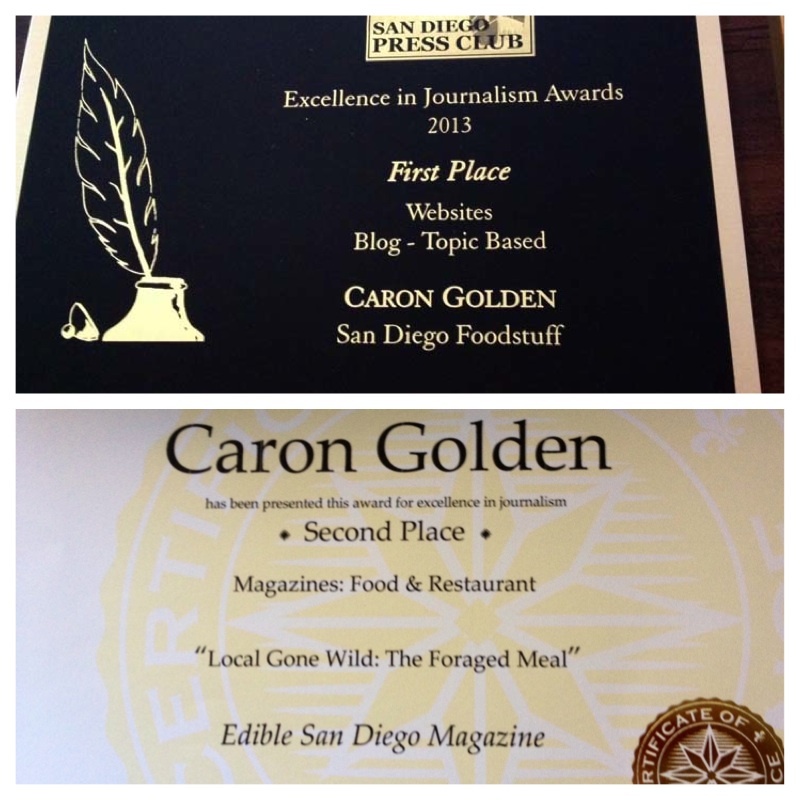 My piece "Local Gone Wild: The Foraged Meal," which I wrote for Edible San Diego, earned a second-place prize.